Pasty Adventures is a British Kitesports Association recognised school, fully insured and licensed to teach kitesurfing at Sandy Acres (Gwithian beach) and Marazion, Cornwall. As a North Kiteboarding Pro Centre, run by British Champion and BKSA Coach Lee 'Pasty' Harvey you can be sure you are getting the best possible instruction using the lastest equipment. We live for kitesurfing and want to pass our knowledge and love of the sport onto you! ​If you are new to Kitesurfing or just keen to give it a go, then this is the place to start. ​Taster sessions, courses and private instruction available. All equipment provided including wetsuits. Want to progress your kitesurfing to the next level? in Big Air, Freeride, Foiling, Race, Strapless & Waves. ﻿﻿Why learn to Kitesurf in Cornwall ﻿wi﻿th Pasty Adventures? 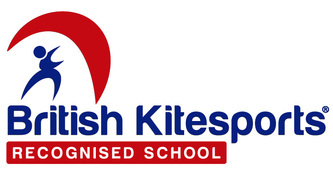 Pasty Adventures is a British Kitesports Association recognised school. We have over ﻿20 years ﻿experience coaching and instructing watersports. We use the best equipment from Duotone which we replace every six months. We run lessons from beginner to advanced in Freeride, Foil, Race & Waves, so can teach you whatever your level. Based in West Cornwall, we are licensed to teach kitesurfing at Gwithian and Marazion, two of the best kite beaches in the World! ​For more information on who we are go to our About Us page. View a map of the spots we use on the Location page. If you want to learn to Kitesurf in Cornwall we are here to help. All content copyright PastyAdventures unless otherwise stated.